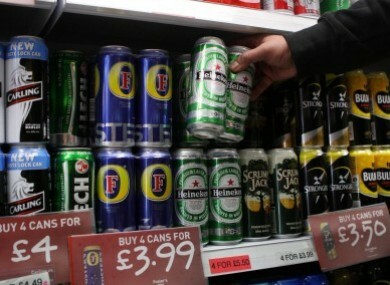 €1.95: The minimum amount a can of beer will cost you under new legislation announced this week. 4: The number of years a man was jailed for in the UK for travelling to Turkey to try and fight with Islamic State. Rule 68: The rule that gives privileged status to the teaching of religion in schools in Ireland. It’s soon to be removed. 10: The number of laureates awarded Nobel Prizes this week. Irishman William C Campbell was among them. £10,000: The amount of money a Monaghan councillor was secretly recorded asking for in an RTÉ Investigates programme. 100: The number of anti-austerity protesters who led Gardaí on a tour of Grafton Street. 4: The number of owls seized by police in Armagh. 1.6bil: The number of Muslims in the world. Donald Trump said he wants to ban all Muslims from entering the US. 100: The number of selfies Teresa Mannion said she posed for in Ballina following THAT weather report. 1: There can be only one Time magazine’s Person of the Year. Email “How much will a can of beer cost you next year? It's the week in numbers”. Feedback on “How much will a can of beer cost you next year? It's the week in numbers”.